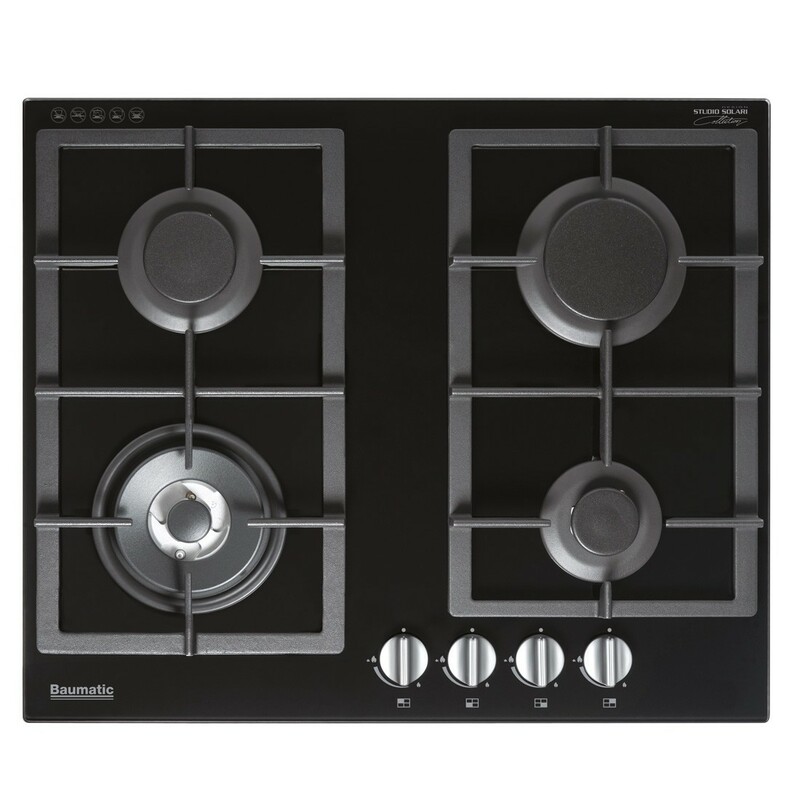 This sophisticated 4 burner gas on ceramic glass cooktop will meet all of your cooking needs and features the latest in European design. The stylish and toughened European black ceramic glass adds to any modern kitchen design and the heavy duty cast iron trivets are not only long life but make cleaning as easy as lifting and wiping over. The Flame Failure Safety device is fitted to each burner and ensures that if the flame is accidentally extinguished the gas supply will automatically turn off. 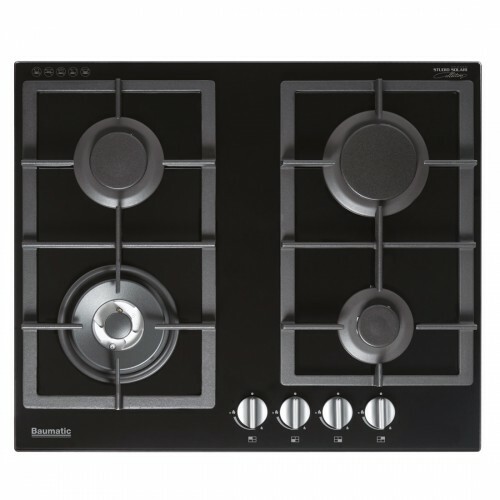 The cooktop has ergonomic front stainless steel control knobs for easier access and safety.